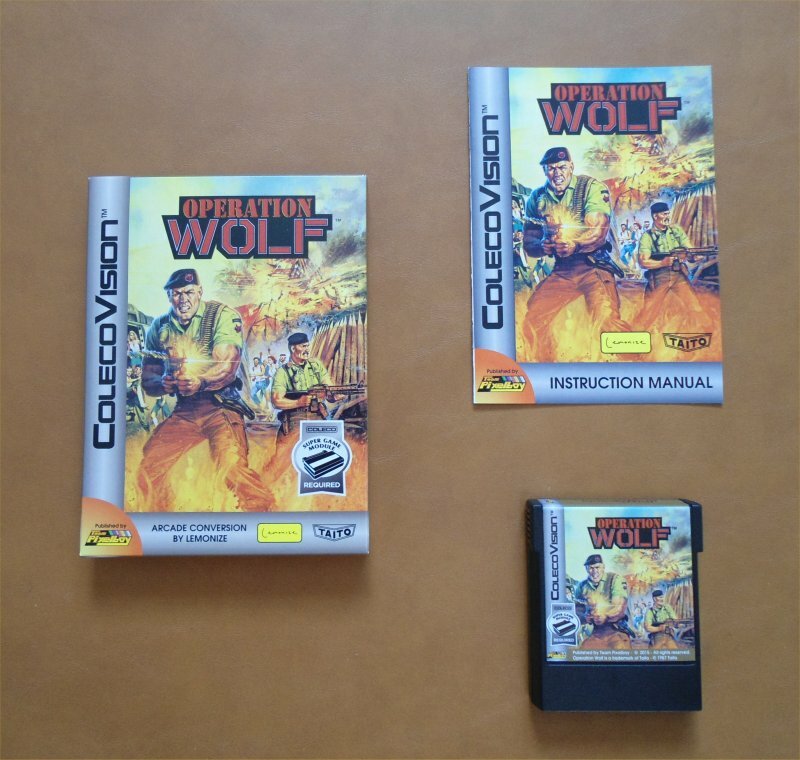 While I was discussing a publishing deal for Caos Begins with Antoni Burguera, Antoni talked to another MSX homebrew author, Armando Pérez Abad, who contacted me and offered to port two of his games (Majikazo and Operation Wolf) to the ColecoVision. 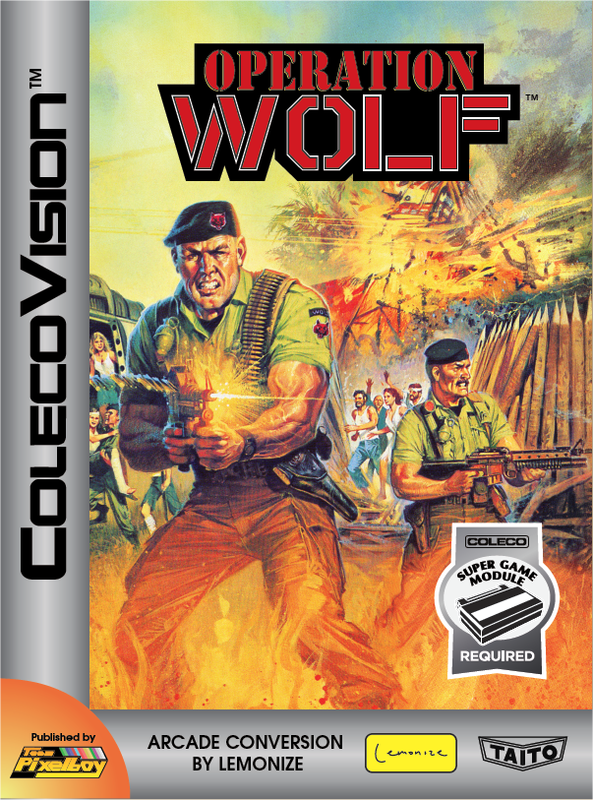 A publishing deal was reached and Operation Wolf was the second game that Armando worked on for Team Pixelboy, after Majikazo. 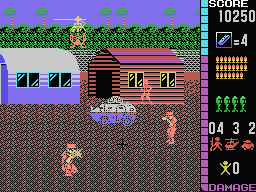 The game is actually recoded and tailored for the ColecoVision (it needs the extra RAM of the Super Game Module) so it's not technically a straight MSX port, but the ColecoVision edition still looks and plays very much like the MSX version. The best part of this game is that it is fully compatible with the Roller Controller! And not just in "joystick" mode! If you play the game with the Roller Controller in "roller" mode, the on-screen crosshairs actually move around the screen more fluidly than with "joystick" mode! 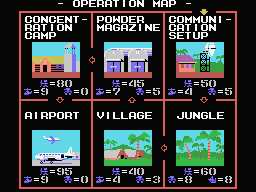 Here is a YouTube video of the MSX version of Operation Wolf. 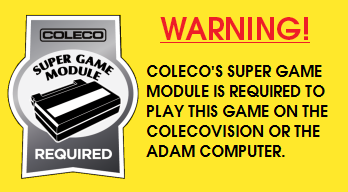 The ColecoVision version looks, sounds and plays the same as what you see below, except for the fact that the player in the video is playing the game with a mouse instead of a joystick.